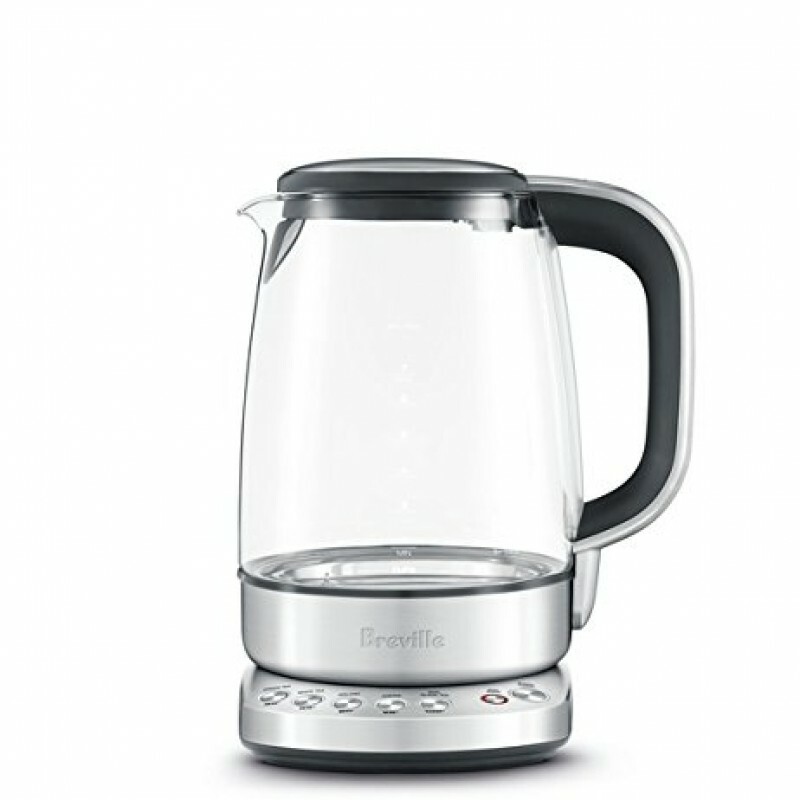 The Breville BKE830XL Electric Kettle has one very tough German Scott glass exterior that will keep it durable in the face of all the heating you will subject it to. 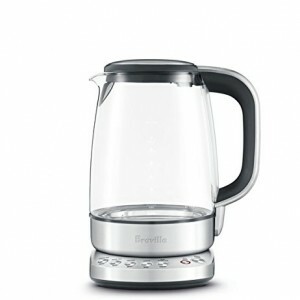 Its lid opens up slowly to release the steam gradually which will protect you from steam burns. Handling it is very easy thanks to its ergonomic handle and it comes with an automatic shut off function. 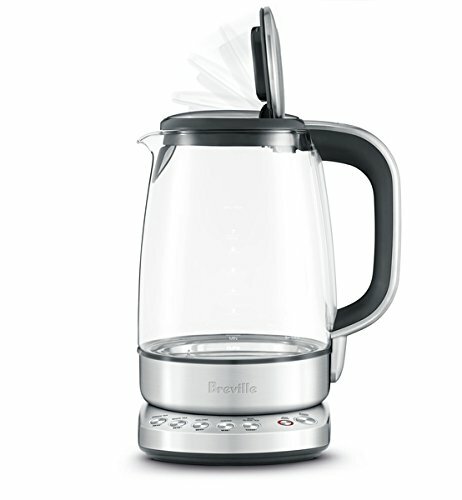 However, this glass kettle comes with filters that break very easy and it lacks measurements on the side of the glass. The material used to make its exterior is tough and thermal shock resistant making it quite durable. You are protected from escaping steam thanks to its soft opening lid that allows smooth outflow of steam. Its filter is removable and so can be easily cleaned. Transferring it from one place to another is effortless and less strenuous thanks to its ergonomic handle. 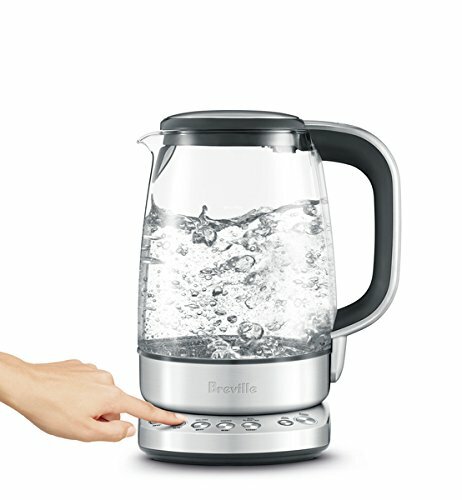 It shuts off automatically when the water hits boiling point and when there is no water in the kettle. Though it can be used cordless its base comes with cord storage section for easy management. The filters it comes with are hard to reinstall and they break up so easily. It does not come with measurements on the side.